Would you like Kung Fu? A Karate master was asked what is the best martial art. He mentioned a different one. His student asked, "then why do you teach Karate?" He said, "I'm in it for the victim." Do you like fast forms, linear and circular punches and kicks, and possibly some sparring? Although there are countless styles of Kung Fu, it may be for you. Karate and Taekwondo originated from Kung Fu. Kung Fu is the original of the martial arts with a focus on striking. In terms of complexity, Shaolin Kung Fu may be seen as the PhD of the striking martial arts, with tremendous diversity in physical movements both circular and linear. Karate is comparatively simpler and much more linear. Classes in Westchester may include basic exercises and forms with an eye towards application and possibly competition. Kung Fu is similar to Karate and Tae Kwon do in the emphasis on external (hard) power and instruction on destructive technique early followed by control. Kung Fu also uses a number of weapons as an extension of empty handed practice. As an ancient form, many styles of Kung Fu have developed, including long & short range, Northern & Southern styles, and more modern systems such as Wing Chun. Exercise is often aerobic. 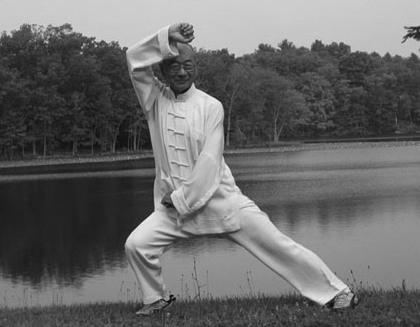 Tai Chi and QiGong (Chi Gung) are often practiced in combination with Kung Fu for health benefits.